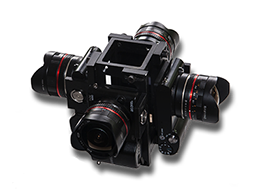 360º Panoramas taken with our proprietary QuadCam Pro rig, which enables the capture of action in a full 360º environment. We experience the world in full 360º views with constant action all around us. 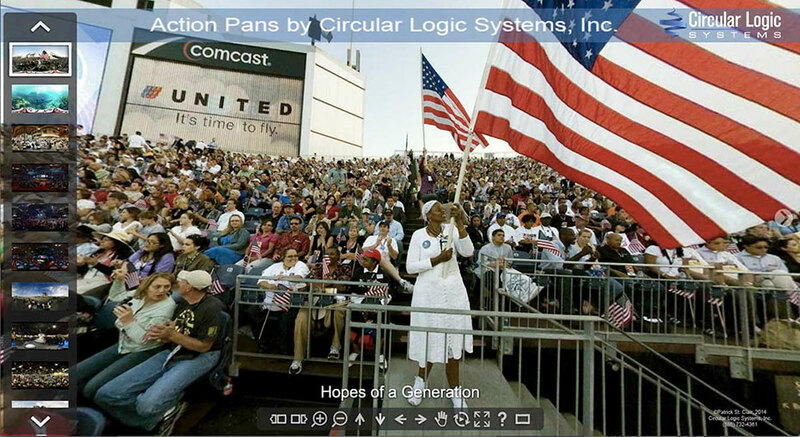 Until now, 360º capture has been of static scenes, a necessity of photographing multiple views with a single camera and stitching them into a 360º scene. With our unique “QuadCam Pro” system, we can capture full action with the speed and ease of photo-journalistic photography. That means capturing crowds around your booth at tradeshows, the full action from the center of a sports event, the photo-journalistic viewpoint of breaking news. Everything is fair game for our 360º capture system. The only limitation is your imagination. And, as with all our work, information delivery is part and parcel of what we offer . . . the ability of this exciting medium to tell stories, to deliver strategic news and facts, to further the reach of the viewer into behind the scenes events. The impact of our media is driven by YOUR creativity. Call us to brainstorm your venue or event and how our photographers and 360º system can satisfy your information delivery needs. Peruse our gallery of twenty-four 360º action panoramas which will place you at the last ever space shuttle launch as well as a scene from Houston Mission Control, put you in the ultimate fighting ring at an MMA competition in Columbus, Ohio, suspend you in a point in space in the middle of a Western NY gorge 75 feet in the air and 50 feet in front of a 150 foot waterfall, and much more! Let your imagination run wild!